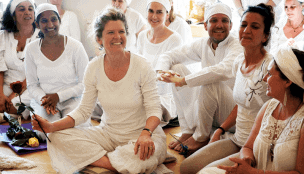 This form covers all classes offered by Guru Gayatri Yoga and Meditation Center, Inc. Please fill out the following, being sure to read and initial each paragraph. That I am participating in yoga, other programs or workshops, offered by Guru Gayatri Yoga and Meditation Center, Inc., during which I receive information and instruction about healthy and safe practices. I recognize that these classes and workshops may require physical exertion, which may be strenuous and could result in physical injury, and I am fully aware of the risks ad hazards involved. I understand that it is my responsibility to consult with a physician prior to and regarding my participation in Classes, Workshops and Programs. I represent and warrant that I am physically fit and I have no medical condition that would prevent my full participation in these Classes, Workshops and Programs. (Doctor’s release may be required for certain Programs). In further consideration of being permitted to participate in Classes, Workshops, and Programs, I knowingly, voluntarily and expressly waive any claim I may have against Guru Gayatri Yoga and Meditation Center, Inc. and Seattle Unity Church for injury or damages that I may sustain as a result of participating in this program. We’re here to answer any questions you have. Chances are if you have a question, then somebody else does too, so don’t be afraid! This is a welcoming environment, and all are encouraged to speak up and ask question to make the most of their experience and growth potential!